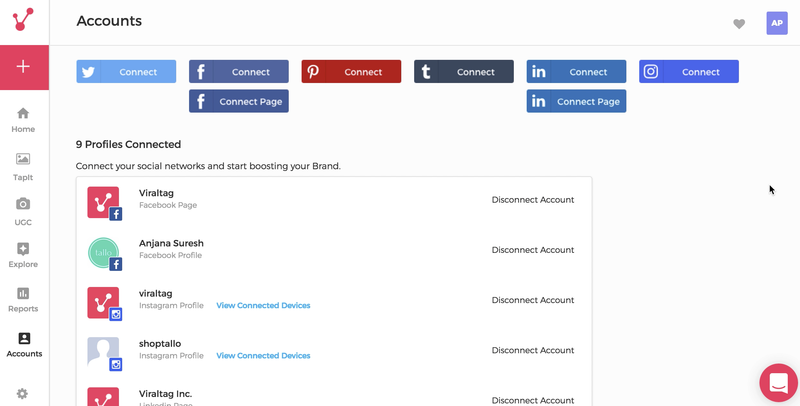 You can post images to your Facebook profile and Facebook page by connecting your Facebook account to Viraltag. 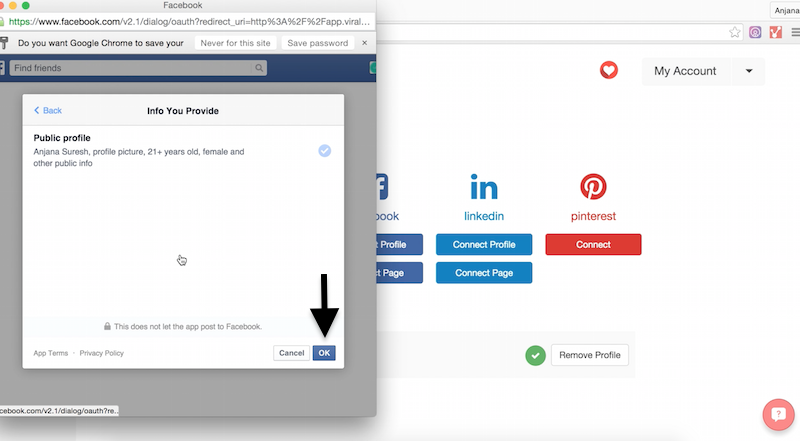 You can view the video demo or refer to the detailed steps below to connect your Facebook profile. 1. Click on the "Connect" button next to the Facebook icon. 2. 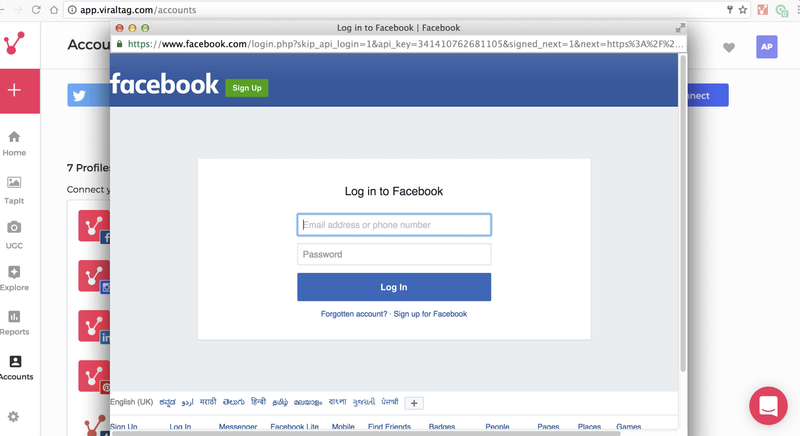 A pop-up window will appear asking for your Facebook credentials. 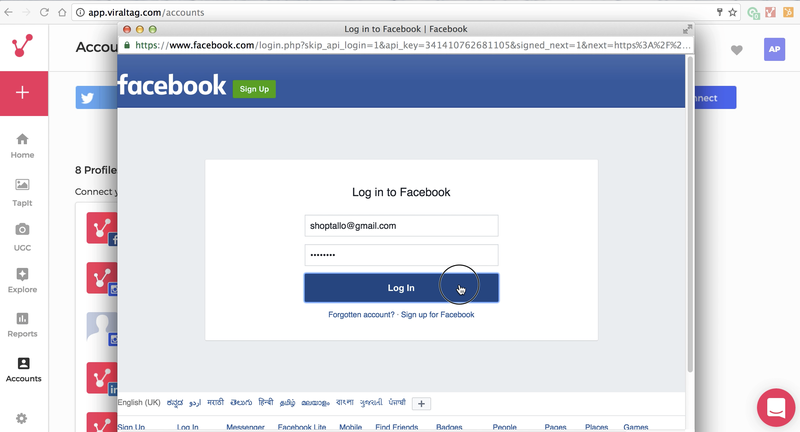 Enter your Facebook email id and password and click on the "Log in" button. 3. 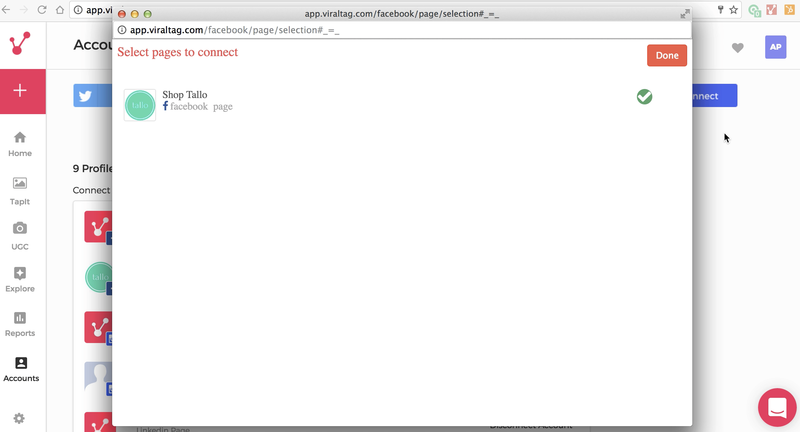 You will receive a prompt that Viraltag will have access to your public profile information. You can choose to check this by click on the "Review the info you provide" link. 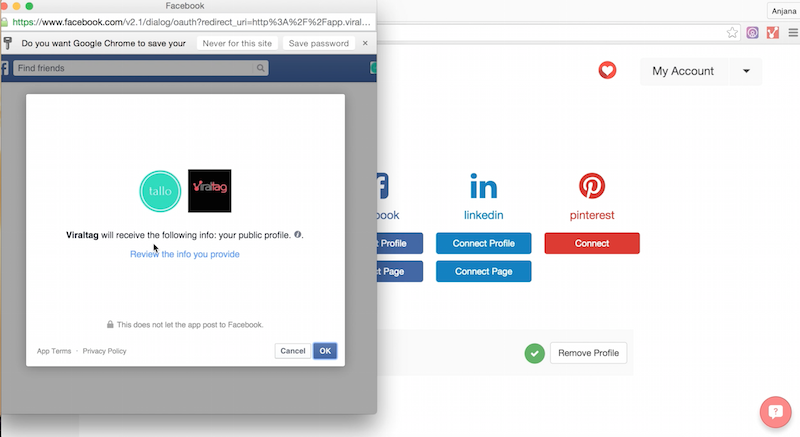 Viraltag will have access to only your basic information, your name, the thumbnail of your public profile picture, your gender and age bracket. Click on "OK" to proceed ahead. "Viraltag would like to post to Facebook for you. Who would you like to share these posts with?" Here, you can choose the audience who will be able to see the posts that are scheduled through Viraltag. Select the appropriate audience and click "OK"
5. 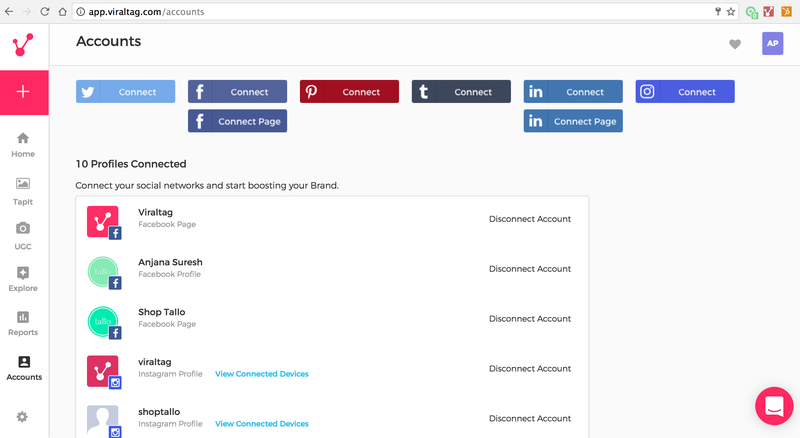 You will now be able see your Facebook profile in the connected accounts list. 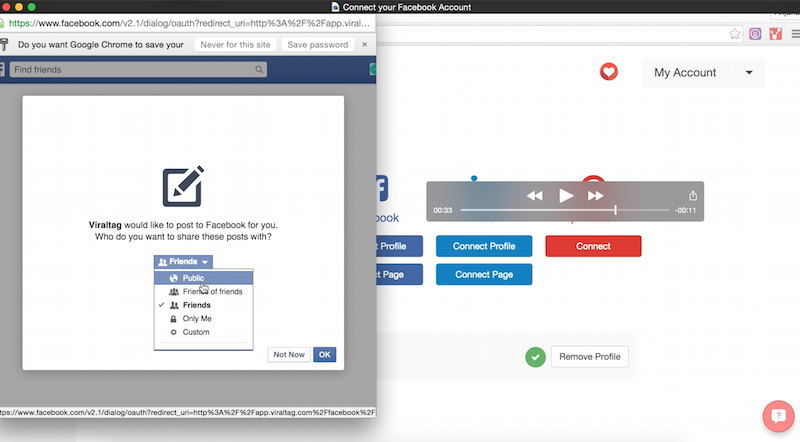 You can view the video demo or refer to the detailed steps below to connect your Facebook page. 3. 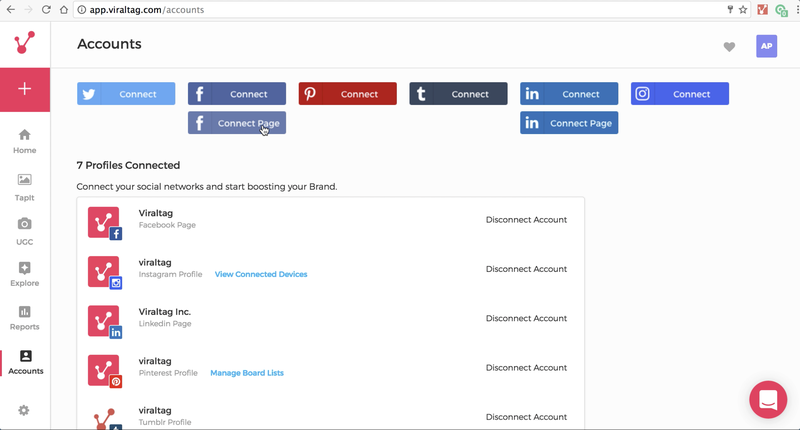 Select the Facebook pages you would like to connect with Viraltag. 4. You will now be able see the selected pages associated with your Facebook account in the connected accounts list.